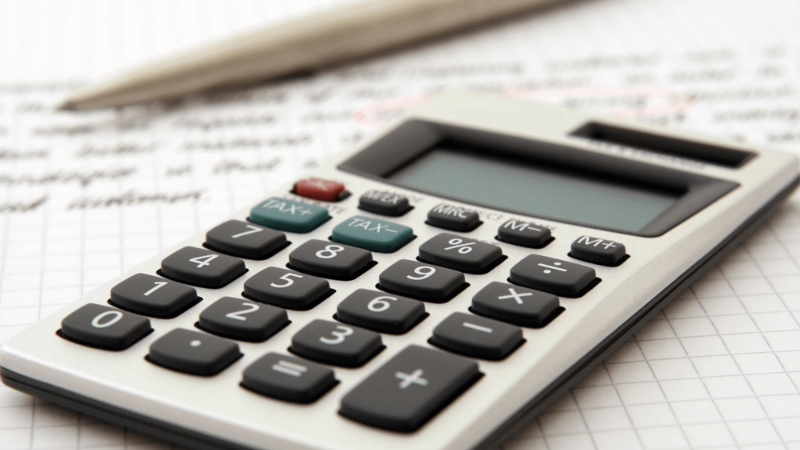 Why is it important to start calculating and keeping track of your net worth? No matter what type of journey you decide to embark on, knowing where you currently stand and where you want to go are among the most crucial steps if you want to make forward. After all, you can’t make decisions on your next steps if you have no idea where you are. Well, you can, but you’d probably be wandering aimlessly, like that scene in Bird Box where they go on a grocery trip…but even then, they had GPS in the car to help them navigate. Which is why, in this 30 Days to Improve Your Finances blog series, we will be starting with calculating your net worth. what steps your need to make in order to reach your financial goals. I’ve been religiously monitoring our family net worth since July 2016 and I shamelessly posted about our journey so far in this post. Money is something many of us are uncomfortable to talk about but let’s break that stigma and bring it to light. Why not start to openly discuss about money and learn from each other’s successes and failures, right? 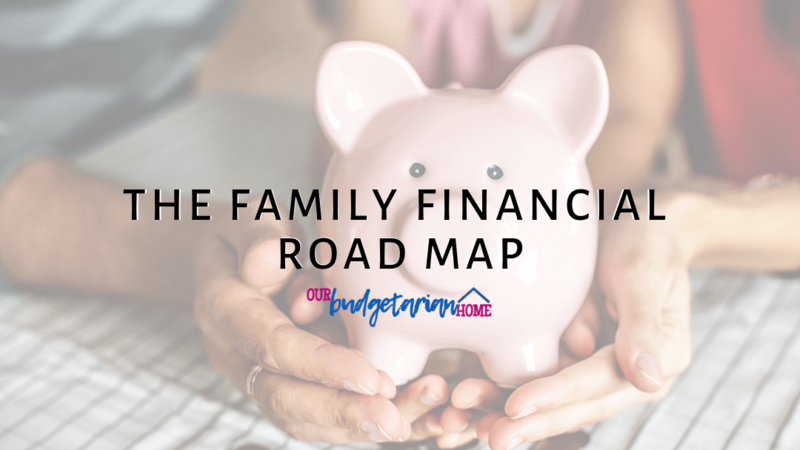 Now, before you decide to go ahead and follow the family financial road map I’ve laid out for you, you need to make know where you stand first. Our assets are currently broken down into three categories: cash, paper assets, and physical assets. 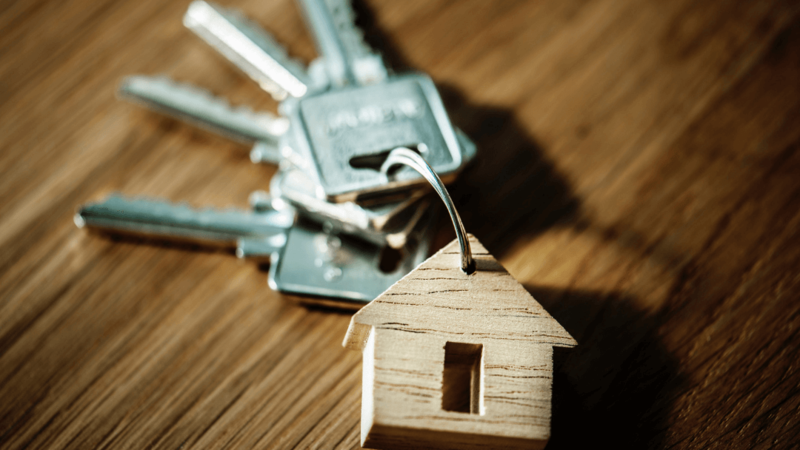 Some people do not account real estate as part of their asset, especially if it’s not a rental one, but there are others who do. In our net worth tracker, I included total assets with and without real estate (home + condo unit) as well as net worth with and without real estate in the computation. Ahhh…this is the part I personally don’t like to see but we all have to deal with this beast if we want to achieve financial freedom. Currently, our liabilities are listed down under two categories: debts and debts from physical assets. We Filipinos are quite lucky because we don’t have to deal with student loans. Now that you have all your numbers, simply subtract your liabilities from your assets. Ideally, your liabilities should be smaller than your assets. Otherwise, that means you’re currently broke (haha) and need to work on building your assets! Ours is currently in the red (negative), if we don’t count our real estate properties as part of our assets. No matter what your result is, don’t feel too bad about it. 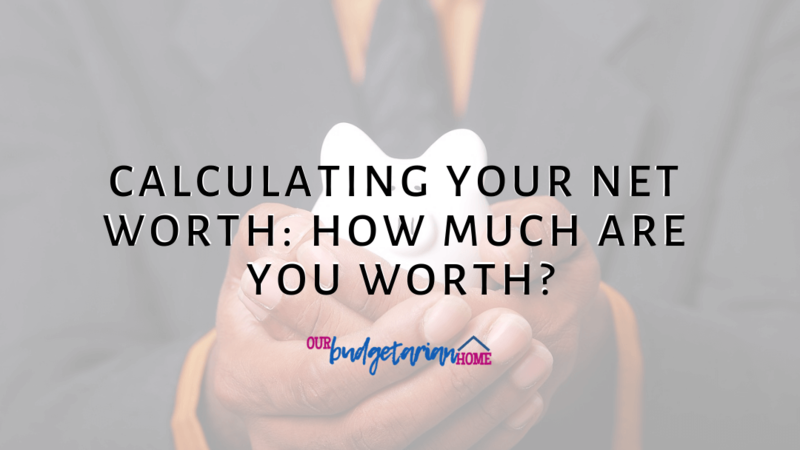 The fact that you actually took the first step to calculate your net worth already puts you in the right direction. Now you just have to make sure that you follow through this blog series so you can create better financial habits and achieve financial freedom fast! We don’t need Mondays or the New Year in order to have permission to start things all over again but, let’s face it, there’s nothing more satisfying than making lists at the start of the week or year, right? 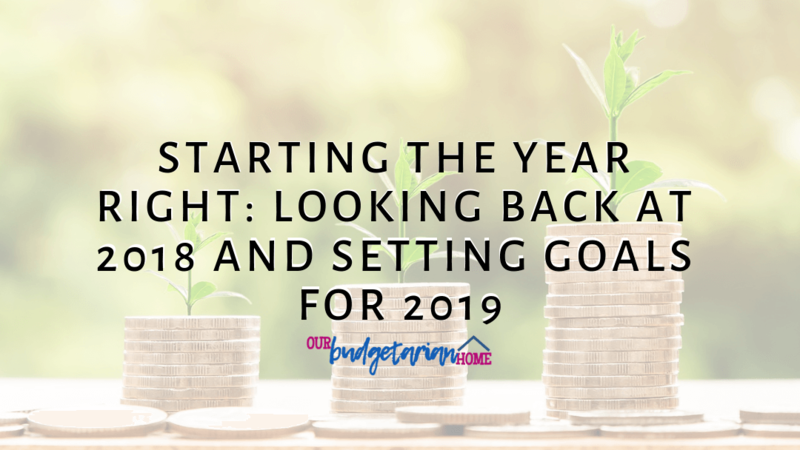 One of the things that really excited me for the New Year was setting goals and, of course, taking a hard look back at the past year. 2018 has been a very good year to us, reaching milestones for our business as well as our family life. And because this is a family finance blog, you can expect this post to be all about money. Don’t get me wrong, it’s not always about the money – but I love talking about $$$ because they’re a good way to track successes and failures. You can’t go wrong with numbers; math is accurate and precise. PSST! We’re also doing a 30 Days to Improve Your Finances series here on the blog, so make sure you keep your eyes peeled for daily posts! However, you should also take note that whatever I say here may or may not apply to you. 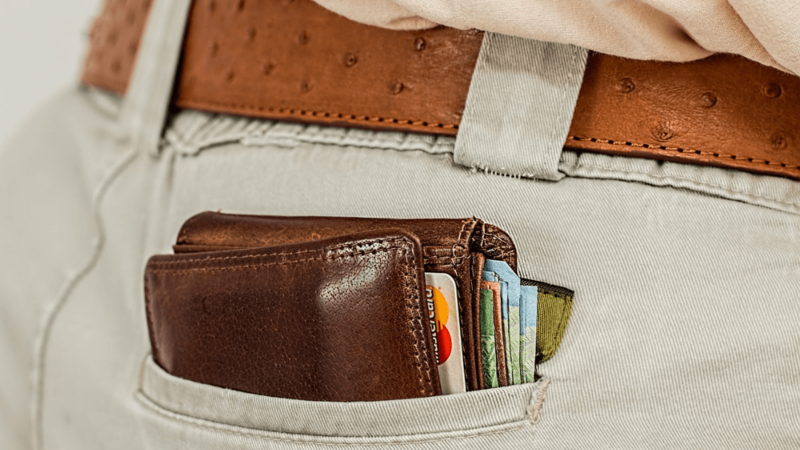 Personal finance is still PERSONAL, as its name suggests, and even I do not follow to a T the rules that the gurus and experts tell everyone. Nevertheless…let’s take a look back at 2018 – and also compare some previous numbers to give you a good look over our journey. 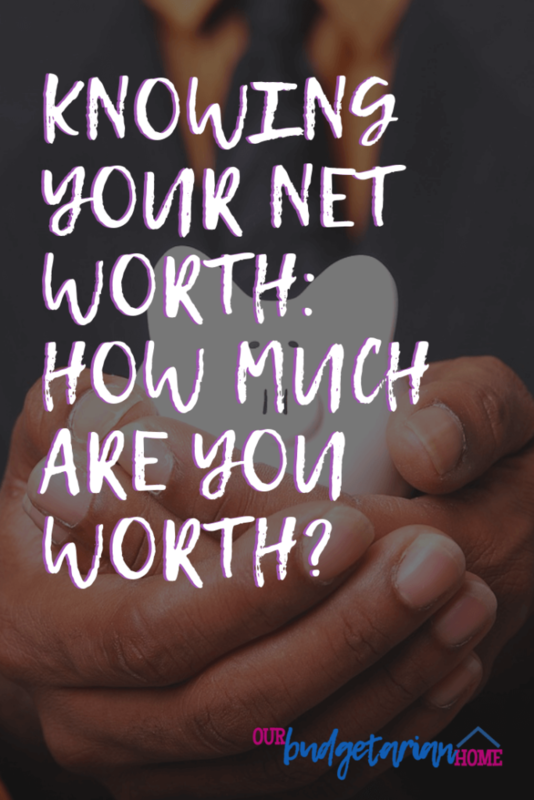 If you want to learn to calculate your own net worth, make sure to read this post. Transitioning from employee to remote worker to freelancer (end of 2015), then back to remote worker (2016), then to full-time business owner (Oct 2017). In 2018, I reached Php 1 million in gross revenue, with a 70-80% net profit. Traveling sporadically (3 weeks in Q4 2016, 1 week and 2 weeks in 1st half of 2018, staycations in between). Moving to our house in June 2017 and giving birth to our second child in July 2017. Reaching my first Php150k-month ($3k) since starting my business in July 2018. When I started my business, I immediately increased my rates to 4x more and currently charge (Dec 2018) about 8x more than when I started. Going through the first phase of our home renovation in August 2018. 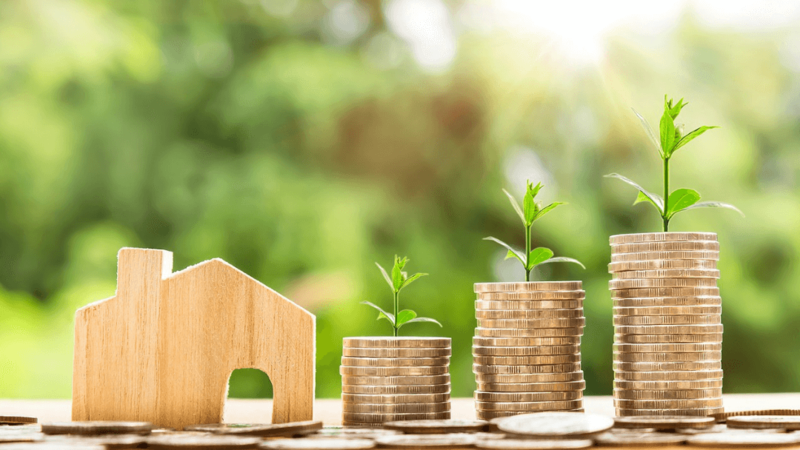 Purchasing our first investment real estate – a condo – in November 2018. Starting several savings funds and restarting our insurance policies in 2018. Bringing up our mutual funds account to Php51k in total invested money in December 2018. Fixing our business legalities – taxes, government contributions, etc. Also making sure that we are paying maximum contribution to each (useful for loans, retirement and other benefits). Building our baby emergency fund to around Php50k. And hopefully doubling it by the end of 2019. Paying off all credit card debts. Since they are sadly now with the collection agency, I’d estimate this to be about Php65k now. Bringing down our mortgage debt to less than Php1million and down to Php800k by end of 2019. Paying off Php200k for our condo downpayment by end of 2019. Getting our car – secondhand or brand new, depending on how our loan application rolls out. Opening a business checking account starting at Php30k and saving around Php60k-100k for my business by Q2 2019. Opening PERA accounts of around Php25k each, and mutual funds account for each of our kiddos to correspond to their age by month – around Php84k and Php30k. Upping our Pagibig MP2 account from Php500 to Php1k monthly contribution each. Possibly opening an SSS Peso Fund at Php1k monthly contribution each, starting at second half of 2019. Increasing both mutual funds and stocks account to Php100k in VALUE each. Continue paying insurance premiums (make sure partner’s is updated to current month/year). Avail of HMO and senior health care (for partner’s mom) by second half of 2019. 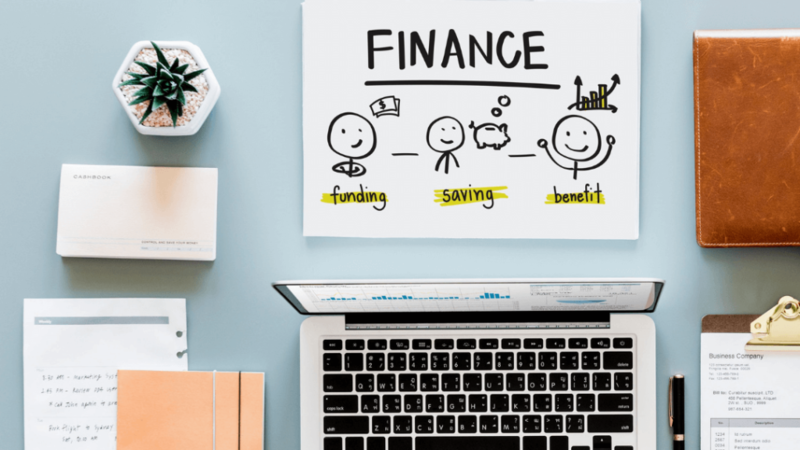 Exploring other business and diversifying income: ebooks, e-courses, affiliate marketing, freelancing (personal and agency), dropshipping and e-commerce. Also considering opening two physical businesses – one shared with my family and another one our own – plus encouraging the partner to start trading stocks. We might also venture into real estate and insurance selling. I’m also exploring partnering with a gas station and becoming a co-owner – this will cost Php330k. Ultimate goal: reach Php1 million in NET WORTH before I turn 30 or before end of 2019. Of course, we have to keep in mind that we also have goals of getting the house renovated and making sure that we are able to travel every now and then. It’s all about balance. Ahhh…I have such crazy goals, I’m not even sure how or when I’d have the time to get all this done. One thing I know for sure though is that I think it’s totally possible as long as we are able to really focus and set our sights on the goal. What are your impossible goals? Our current goal in 2019 is to achieve Php 1 million in net worth before I turn 30 in October, or before the year ends. It’s a crazy goal and we are only a quarter through the journey. I’ve always been a huge advocate for getting insurance. It strengthened even more when I was in the midst of watching One Tree Hill and Brooke got so broke that she begged to get accepted for a job even if it were only to pay for her car’s insurance. It was THAT important to her. And I realized that too, when I became a mom and was able to save around Php12,000 on maternity-related expenses and around Php24,000 on my daughter’s hospitalization expenses. Considering how little I paid for my HMO (through my former employer), it was a huge bargain! So, when an agent introduced me to life insurance, there was really no need of convincing. I knew I was going to avail it one way or the other. I wasn’t the breadwinner of the family then and I was just around three months into my new job. But there I was, signing up for everything. Haha! I had 2 million in coverage and multiple riders in my policy. While I knew what life insurance was for, I had no idea what I signed up for. Okay, maybe I did a bit. My agent probably did a great job at explaining things to me but I was probably on information overload. I signed up for a huge coverage and multiple riders which ended up with me paying Php3,000 per month. At the start, I was probably only earning less than Php20,000 after taxes. A few months later, I found out that I was pregnant and gave birth to our daughter…and that was when all our priorities shifted. At Php3,000 per month, I could no longer afford to pay for my policy and although I was the one with the higher income, I also could not NOT get the partner a policy of his own. After computing our expenses – diapers, formula, bills, and other expenses – there was nothing left. And that was the time I realized, there are multiple ways to go about shopping for life insurance. I learned it from countless personal finance blogs and books that I’ve read over the years and I hope to share it with you guys. Different insurance companies offer different kinds of products with various names and benefits. VUL is one of them. According to Investopedia, VUL (or Variable Universal Life) is a permanent life insurance policy that comes with a savings component. That means that each premium you pay to the company are divided into: your insurance and your investment. Ultimately though, this type of policy is mainly insurance so while you might get *some* return on investment from it after around 10-15 years, it’s main purpose is to provide protection in case something happens to you. The investment part is just an added benefit but not its main component. 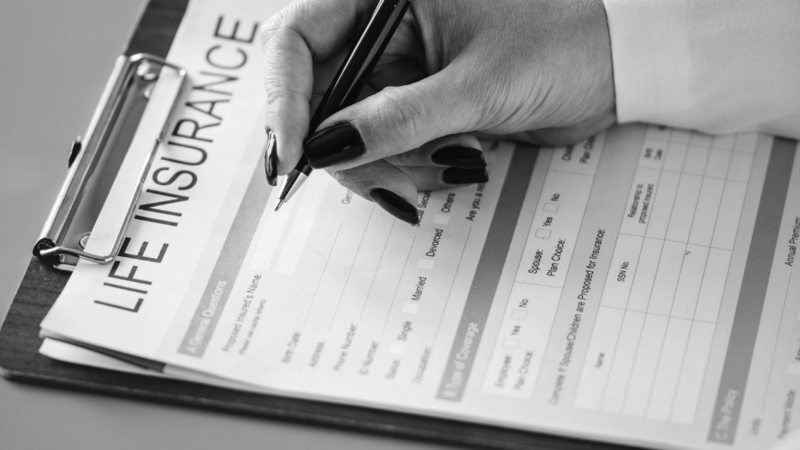 Thus, you also have to keep in mind that in most policies, the first 3-5 years of premium-paying is mostly allocated to the insurance component. After that, most of the premium already goes to the investment component. I could be fuzzy on the details so make sure to discuss this thoroughly with your insurance agent or financial advisor. If you’re interested in exploring VULs, you can check out these products. Fortunately, about a year after losing my first VUL, we were able to find another agent who *nearly* helped us get what we wanted, which was a term life insurance policy. For some reason, we failed in the medical exams, so we ended up with a VUL with zero riders (we know better now; but also we WILL get them added once we have additional funds eventually). Thus, what we paid for in one month for my previous policy was equal to a quarter’s worth of premiums in this new policy. We were now able to get two policies and also still have a bit more left to invest directly to mutual funds or in the stock market. Update: My second policy lapsed (again lol) when we transitioned to a one-income freelancing household but I’ve already signed a term life insurance policy via Sun Life’s Sun Safer Life and have paid for it for one year. Yay! Also, my annual premiums for the first five years is only at Php7,850. Double yay! 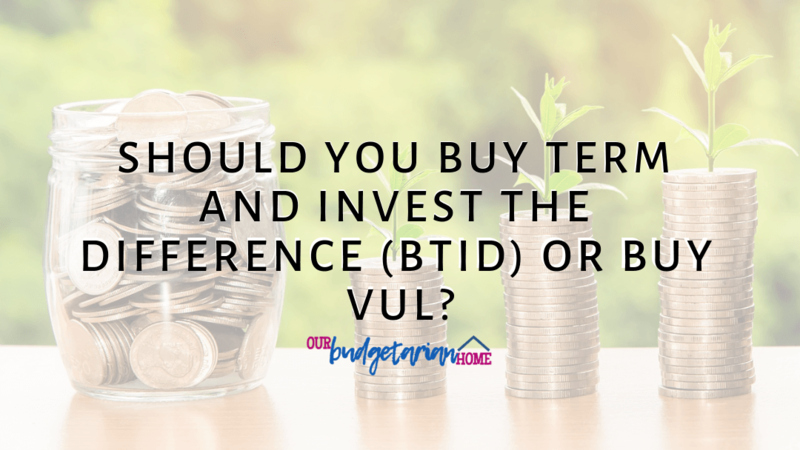 This means, compared to my first VUL, I’d have saved Php28,150 which I could invest into mutual funds or stock market for retirement or for the kids’ education. You can totally do a BTID approach with Sun Life: check out their income protection plans here and their mutual funds here. Ultimately, the decision is all up to you. Whichever approach you decide to go for, always keep in mind that insurance is for your peace of mind and investments is for growing your money. We started learning more about investing back in 2013. What was our motivation? Our daughter was born in February 2013 and, as cliche as it may sound, welcoming a baby in your life can truly change perspectives. Plus, another huge goal we had back then was to drop everything and go. It meant letting go of jobs and whatever was holding us back, to give way to traveling full-time. Crazy as it may sound, but it was our ultimate dream, and building our travel funds to allow us to travel for (at least) a year was only possible through mutual funds. Now, before you go and leave the blog to find out how and where to invest in mutual funds, there are some things you ought to know first. After all, you bring in a lot of risk if you get yourself into something you have no idea about. The biggest investment you should make is KNOWLEDGE. Basically, mutual funds is a type of investment where investors pool their money together to create a larger fund. This fund is then invested into different types of securities (stocks, bonds, deposits and many others) so that it can generate returns. The returns can come from interest from borrowing (such as in bonds) or from company growth and dividends (such as in stocks). A portion of the returns are then given back (after management fees and taxes) to the investors which they can choose to withdraw and spend or invest back into the fund. The cycle is as shown below (I created it from an old post I wrote 4 years ago – but I don’t think I did such a great job at explaining the whole thing – so here I am again). 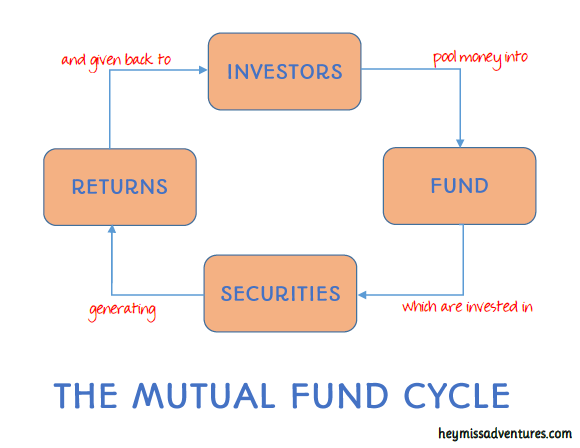 Where are mutual funds invested? This is typically what is suggested for the younger people. These types of funds have a higher appetite for risk – and this is because there’s a lot more time to make up for any losses that might be incurred along the way. The major advantage to having a higher appetite for risk is that you have a much higher potential of getting big returns for your money. Aggressive funds are usually invested in the stock market. 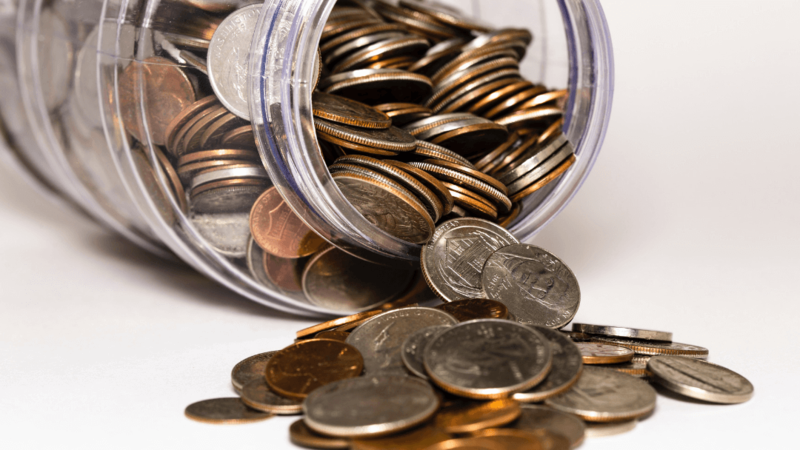 These types of funds are often suggested for capital preservation, and thus, for those who do not have a lot of time left to make up for losses. Think those nearing their retirement age. Conservative funds have a much lower appetite for risk – therefore, they cannot expect very huge returns but they can be assured that their money stays protected with some interest (much higher than the bank offers). Conservative funds are invested in low risk securities such as bonds, treasury bills, deposit accounts such as time deposits and money market funds. Of course, there are those who would like to stay on the safe side but still be able to take on a bit of risk. Balanced funds are, as the name suggests, a mix of both funds mentioned above. Of course, because mutual funds are managed by a company, you incur fees such as entry and exit fees, which pays for the management of the funds. There are many factors to determine which type of mutual fund to invest on. For example, some companies will have to assess on whether you are an aggressive or a conservative investor or somewhere in between. learning your risk appetite, or how much risk can you take: 10% loss? 20% loss? your investment horizon, or the time you can do without having that money with you: will you use the money in 5 years? 10 years? Ultimately though, the decision will always be up to the investor. How often should I top-up my mutual funds account? It generally depends upon the investor. Personally, we use the cost averaging method, which means that we put in an amount every month (sometimes more frequently, when there is extra money to add) because then, it is able to ride along the highs and lows of the market. You have to remember that the stock market is very volatile and can change every so often, so you have to be flexible enough to go along with it. For some people, investing a lump sum – and then forgetting about it – is the best way to go. 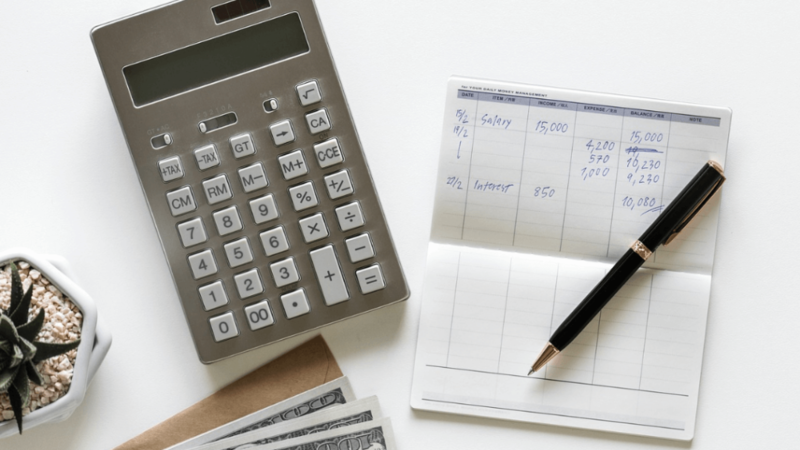 Obviously, we did not go this route because we did not have any lump sum to add to our mutual funds account, and we’d probably spend a bulk of that money somewhere else, as we are still building our family and our finances. A common question I get asked: is topping up MANDATORY? NO. You have full control over how much (a minimum of Php1,000) or how often you add money into your funds. You can just open an account and forget it, really. But, if you want to maximize your savings and returns, I suggest doing it regularly. How long should I stay invested in mutual funds? While mutual funds are designed for long term investing, how long you place it in there still depends upon you, the investor. According to some, staying invested for at least a year is okay – but I personally recommend going three to five, or even more. You might also have to check out the policies for your mutual funds: ours waive the exit fee for money that is six months old (which only encourages the investor to have their money invested for the long term). We also found out that the 6-month-old rule is not for your account but for every amount you put in. For example, if you decide to withdraw money from your mutual funds account on August, the funds that you put in between February and July will incur an exit fee. Of course, you have the option to withdraw the funds that you invested in January and earlier. From our five-year experience being invested in mutual funds, we started at a rather high value, which went down on year 2 and 3, and then slowly making its way back up year 5. We’ve made several wrong moves along the way as well, such as withdrawing a huge bulk of that money to 1) make a huge purchase for a WANT, and 2) pay off a NEED. In total, we probably incurred a loss of around Php6,000. 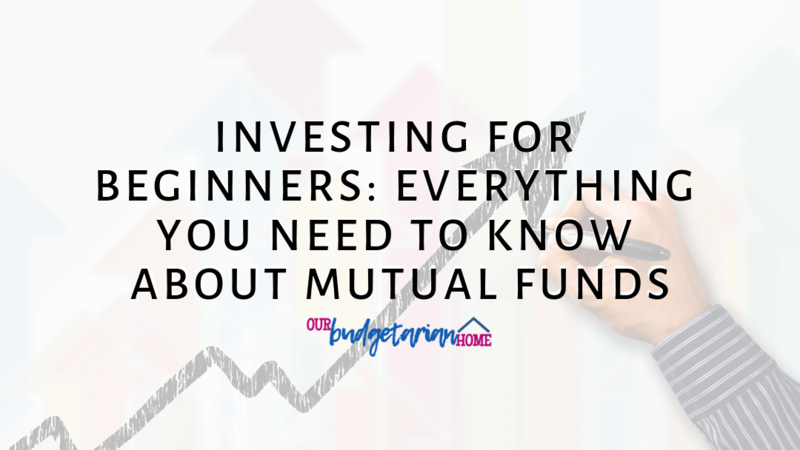 Now that you know everything that we know about mutual funds, it’s time to put it into action! Where to open a mutual funds account? There are a number of mutual funds companies here in the Philippines. You can check out PIFA to see if a company is legit, and also see their past fund performance. Most companies require at least Php5,000 to open an account, which we think is the biggest hurdle to get over. Fortunately, Sun Life’s Prosperity Funds allow you to jumpstart your investments for just Php1,000 – and then top it up for Php1,000. Hey, if you’ve decided on opening up a mutual funds account or have already opened up on after reading this post, make sure to comment below and let us in on your journey. Happy investing!